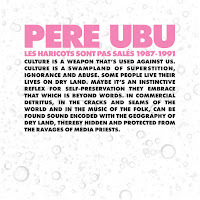 Pere Ubu is a band that is around since 1975 and derived its name from a character in a play by Alfred Jarry. If anything the music on 'The Tenement Year' is organised chaos. At best that is. Sort of anything goes. The individual members may have their preferences, as sometimes shows through little style figures that pop in and out of the chaos, the main style is chaos. What is admirable is that from that seemingly lack of any structure, sound compositions and songs come forward that make listening to the album not just an adventure, but pleasurable as well. In a way I am reminded often of several of Frank Zappa's albums. The ones where Zappa makes songs with infused madness and zaniness intermingled and sometimes hardly distinguishable. In David Thomas Pere Ubu has the lesser singer, more unconventional is another word and perhaps more appropriate, than the many great singers Zappa had at his disposal, including himself. It makes Pere Ubu instantly recognisable because of it. At heart the band is a new waving rock band. It does it utmost to hide that fact. Behind Thomas it is a free for all. At least, once the music is beyond the rhythm section. Drums, bass and rhythm guitar certainly do not mind keeping it all within certain bounds. Over that firm basis the lead instruments, that could be an accordion or several electric guitars, all notes, fills and stop-starts can be played or just some strange noises made by a melodeon or synthesizer, giving the individual songs their distinct flavour. Would I have liked this album back in 1988? Of course that is hard to say. My near certain guess is no. My ears simply were not trained to this kind of experimental and at times avant garde music. Nor was I prepared to open up to music I did not or thought I would not like. In the past 30 odd years my tastes in music has not only changed but certainly also broadened. Not least because of the different sorts of music I am presented with because of this blog. 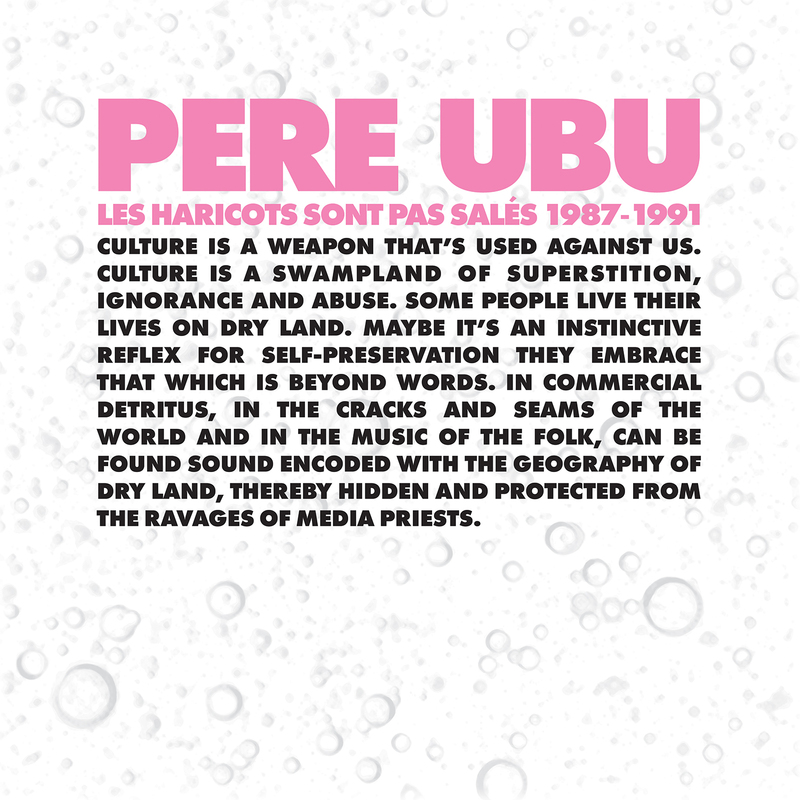 One example is Pere Ubu. It proves that I cannot trust what I read in reviews any longer, as my ears are different from my preconditions. 'The Tenement Year' is an album shooting off in all kinds of, alternative rock directions. Is it interesting? Oh, yes, very. But is it good? 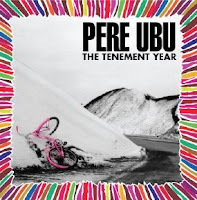 It is 2018 and I can only answer that this album by Pere Ubu is like Rivella. Yes, it is very strange, but is so good. I doubt whether I'll play it every day, but will certainly come back to it, like I will try out the rest of box set. Les Haricots Sont Pas Salés? Perhaps. They may just be exactly right though.